Emma's parents think she is dead. It started with a shift in atmosphere. The forest greeted Emma with starting force. At first she couldn't move her limbs, and then her vision was rendered useless, paralyzed to the forces within the forest. The voices came in a dream at first, commanding her against her will deeper into the forest. After months of fighting for control, it took only one moment to lose her human life forever. Now she is nothing more than an Essence, watching as her life unfolds without her. 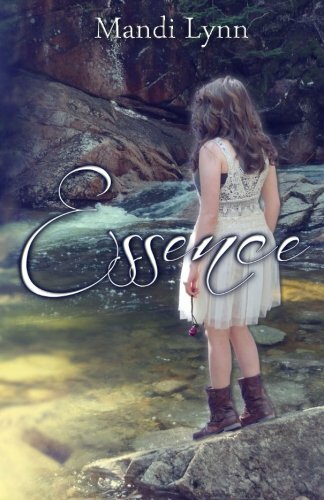 Mandi Lynn is the young adult author of her debut novel, Essence. Beginning to write the story when she was only thirteen years old, after three and a half years of hard work, Essence was published and in print. To graduate in 2014, meanwhile Mandi goes to a vocational high school where she takes cosmetology besides writing novels and doing regular schoolwork. Mandi can now be found on YouTube hosting YA Ink—a series of videos about writing and publishing—and sharing her journey as a writer.